Fiber Reinforced Plastic (FRP), also known as fiber reinforced polymer, is in fact a composite material constituting a polymer matrix blended with certain reinforcing materials, such as fibers. The fibers are generally basalt, carbon, glass or aramid; in certain cases asbestos, wood or paper can also be used. Most of these plastics are formed through various molding processes wherein a mold or a tool is used to place the fiber pre-form, constituting dry fiber or fiber containing a specific proportion of resin. After ‘wetting’ dry fibers with resin, “curing” takes place, wherein the fibers and matrix assume the mold’s shape. In this stage, there is occasional application of heat and pressure. The different methods include compression molding, bladder molding, mandrel wrapping, autoclave, filament winding, and wet layup, amongst others. 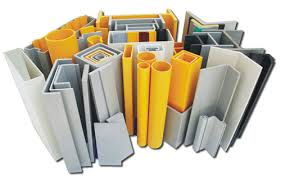 (i) Glass is a very good insulating material and, when blended with the matrix, forms fiberglass or glass reinforced plastic. Compared to carbon fiber, it is both less strong and rigid and less brittle and expensive. (ii) Carbon based fiber reinforced plastics offer high tensile strength, chemical resistance, stiffness, and temperature tolerance along with low thermal expansion and weight. The carbon atoms form crystals which lie mostly along the fiber’s long axis. This alignment makes the material strong by making the ratio of strength to volume high. (iii) Aramid is a fiber component that results in robust and heat-resistant synthetic fibers. It finds wide applications in many industries. Giraffe, (genus Giraffa), any of four species in the genus Giraffa of long-necked cud-chewing hoofed mammals of Africa, with long legs and a coat pattern of irregular brown patches on a light background. Giraffes are the tallest of all land animals; males (bulls) may exceed 5.5 metres (18 feet) in height, and the tallest females (cows) are about 4.5 metres. Using prehensile tongues almost half a metre long, they are able to browse foliage almost six metres from the ground. Giraffes are a common sight in grasslands and open woodlands in East Africa, where they can be seen in reserves such as Tanzania’s Serengeti National Park and Kenya’s Amboseli National Park. The genus Giraffa is made up of the northern giraffe (G. camelopardalis), the southern giraffe (G. giraffa), the Masai giraffe(G. tippelskirchi), and the reticulated giraffe (G. reticulata). Giraffes grow to nearly their full height by four years of age but gain weight until they are seven or eight. Males weigh up to 1,930 kg (4,250 pounds), females up to 1,180 kg (2,600 pounds). The tail may be a metre in length and has a long black tuft on the end; there is also a short black mane. Both sexes have a pair of horns, though males possess other bony protuberances on the skull. The back slopes downward to the hindquarters, a silhouette explained mainly by large muscles that support the neck; these muscles are attached to long spines on the vertebrae of the upper back. There are only seven neck (cervical) vertebrae, but they are elongated. Thick-walled arteries in the neck have extra valves to counteract gravity when the head is up; when the giraffe lowers its head to the ground, special vessels at the base of the brain control blood pressure. Giraffes live in nonterritorial groups of up to 20. Home ranges are as small as 85 square km (33 square miles) in wetter areas but up to 1,500 square km (580 square miles) in dry regions. The animals are gregarious, a behaviour that apparently allows for increased vigilance against predators. They have excellent eyesight, and when one giraffe stares, for example, at a lion a kilometre away, the others look in that direction too. Giraffes live up to 26 years in the wild and slightly longer in captivity. Giraffes prefer to eat new shoots and leaves, mainly from the thorny acacia tree. Cows in particular select high-energy low-fibre items. They are prodigious eaters, and a large male consumes about 65 kg (145 pounds) of food per day. The tongue and inside of the mouth are coated with tough tissue as protection. The giraffe grasps leaves with its prehensile lips or tongue and pulls them into the mouth. If the foliage is not thorny, the giraffe “combs” leaves from the stem by pulling it across the lower canine and incisor teeth. Giraffes obtain most water from their food, though in the dry season they drink at least every three days. They must spread the forelegs apart in order to reach the ground with the head. Females first breed at four or five years of age. Gestation is 15 months, and, though most calves are born in dry months in some areas, births can take place in any month of the year. The single offspring is about 2 metres (6 feet) tall and weighs 100 kg (220 pounds). For a week the mother licks and nuzzles her calf in isolation while they learn each other’s scent. Thereafter, the calf joins a “nursery group” of similar-aged youngsters, while mothers forage at variable distances. If lions or hyenas attack, a mother sometimes stands over her calf, kicking at the predators with front and back legs. Cows have food and water requirements that may keep them away from the nursery group for hours at a time, and about half of very young calves are killed by lions and hyenas. Calves sample vegetation at three weeks but suckle for 18–22 months. Males join other bachelors when one to two years old, whereas daughters are likely to stay near the mother. Bulls eight years and older travel up to 20 km per day looking for cows in heat (estrus). Younger males spend years in bachelor groups, where they engage in “necking” bouts. These side-to-side clashes of heads cause mild damage, and bone deposits subsequently form around the horns, eyes, and back of the head; a single lump projects from between the eyes. Accumulation of bone deposits continues through life, resulting in skulls weighing 30 kg. Necking also establishes a social hierarchy. Violence sometimes occurs when two older bulls converge on an estrous cow. The advantage of a heavy, knobbed skull is soon apparent. With forelegs braced, bulls swing their necks and club each other with their skulls, aiming for the underbelly. There have been instances of bulls being knocked off their feet or even rendered unconscious. Paintings of giraffes appear on early Egyptian tombs; just as today, giraffe tails were prized for the long wiry tuft hairs used to weave belts and jewelry. In the 13th century, East Africa supplied a trade in hides. During the 19th and 20th centuries, overhunting, habitat destruction, and rinderpestepidemics introduced by European livestock reduced giraffes to less than half their former range. Today giraffes are numerous in East African countries and also in certain reserves of Southern Africa, where they have enjoyed somewhat of a recovery. The West African subspecies of the northern giraffe is reduced to a small range in Niger. Giraffes were traditionally classified into one species, Giraffa camelopardalis, and then into several subspecies on the basis of physical features. Nine subspecies were recognized by coat pattern similarities; however, it was also known that individual coat patterns were unique. Some scientists contended that these animals could be divided into six or more species, since studies had shown that differences in genetics, reproductive timing, and pelage patterns (which are indicative of reproductive isolation) exist between various groups. By the 2010s mitochondrial DNA studies had determined that genetic uniquenesses brought on by the reproductive isolation of one group from another were significant enough to separate giraffes into four distinct species. The giraffe had long been classified as a species of least concern by the International Union for Conservation of Nature (IUCN), which places all giraffes in the species G. camelopardalis. 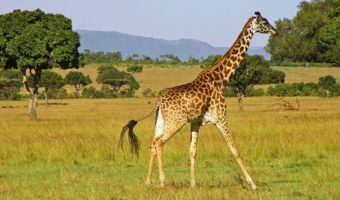 A study in 2016, however, determined that habitat loss resulting from expanding agricultural activities, increased mortality brought on by illegal hunting, and the effects of ongoing civil unrest in a handful of African countries had caused giraffe populations to plummet by 36–40 percent between 1985 and 2015, and, as of 2016, the IUCN has reclassified the conservation status of the species as vulnerable. The only close relative of the giraffe is the rainforest-dwelling okapi, which is the only other member of the family Giraffidae. G. camelopardalis or something very similar lived in Tanzania two million years ago, but Giraffidae branched off from other members of the order Artiodactyla—cattle, antelope, and deer—about 34 million years ago. The Andes or Andean Mountains (Spanish: Cordillera de los Andes) are the longest continental mountain range in the world, forming a continuous highland along the western edge of South America. Tropical rainforests and rainforests encircle the northern Andes. The cinchona, a source of quinine which is used to treat malaria, is found in the Bolivian Andes. The high-altitude Polylepis forests are present in the Andean areas of Ecuador, Peru, and Bolivia. The trees, Queñua and Yagual, can be found at altitudes of 4,500 m above sea level. Once abundant, the forests began disappearing during the Incan period when much of it was used for building material and cooking fuel. The trees are now considered to be highly endangered with only 10 percent of the original forests remaining. Nitric acid (HNO3) is a colorless, liquid acid widely used in the manufacturing of explosives and fertilizers . When dissolved in water , molecules of nitric acid separate (or dissociate) into hydrogen ions (H+) and nitrate ions (NO3). The fact that nearly every nitric acid molecule dissociates is what makes nitric acid a strong acid. Nitric acid is often the starting material in the industrial production of nitrates for fertilizers. Plants take up nitrogen from the soil in the form of ammonium ions (NH +4 ) and nitrate ions, and along with carbon containing molecules made during photosynthesis , these ions are used to synthesize amino acids, from which proteins are made. Within the past hundred years the demand for nitrogen fertilizers has grown dramatically as the need for fertilizers for agriculture has grown. The natural manner in which nitrates reach the soil involves the reaction of nitrogen gas and oxygen gas in the atmosphere to form nitrogen dioxide gas (NO2), which then reacts with atmospheric water, making nitric acid, which provides a natural source of nitrates in water and soil. Nitric acid is also formed from the reaction of nitrogen oxides produced during the combustion (burning) of fossil fuels in automobile engines. These nitrogen oxides react with water in the atmosphere and form nitric acid, one cause of acid rain . High levels of nitrates in drinking water can contribute to the formation of nitrosamines, a group of carcinogenic (cancer causing) compounds. Orange, name for a tree of the family Rutaceae (rue, or orange, family), native to China and Indochina, and for its fruit, the most important fresh fruit of international commerce. Its physical characteristics (especially the rich citric acid and vitamin content of the fruit) and history of cultivation are similar to those of the other types of citrus fruits, all of which are species of Citrus. Most oranges, like other citrus fruits, are consumed fresh or made into juice. The fruit and rind are also much used in marmalade, preserves, flavoring, and confections. Some varieties yield essential oils used in perfume. The flower is a favorite for bridal decoration and is the state flower of Florida. The yellow wood, which is hard and close-grained, is manufactured into small articles. Orange is classified in the division Magnoliophyta, class Magnoliopsida, order Sapindales, family Rutaceae. About 300 million years ago, Earth didn't have seven continents, but instead one massive supercontinent called Pangaea, which was surrounded by a single ocean called Panthalassa. The explanation for Pangaea's formation ushered in the modern theory of plate tectonics, which posits that the Earth's outer shell is broken up into several plates that slide over Earth's rocky shell, the mantle. Over the course of the planet's 3.5 billion-year history, several supercontinents have formed and broken up, a result of churning and circulation in the Earth's mantle, which makes up most of planet's volume. This breakup and formation of supercontinents has dramatically altered the planet's history. "This is what's driven the entire evolution of the planet through time. This is the major backbeat of the planet," said Brendan Murphy, a geology professor at the St. Francis Xavier University, in Antigonish, Nova Scotia. Having one massive landmass would have made for very different climatic cycles. For instance, the interior of the continent may have been utterly dry, as it was locked behind massive mountain chains that blocked all moisture or rainfall, Murphy said. "The coal deposits are essentially telling us that there was plentiful life on land," Murphy told. Climate models confirm that the continental interior of Pangaea was extremely seasonal, according to a 2016 article in the journal Palaeogeography, Palaeoclimatology, Palaeoecology. The researchers in this study used biological and physical data from the Moradi Formation, a region of layered paleosols (fossil soils) in northern Niger, to reconstruct the ecosystem and climate during the time period when Pangaea existed. Comparable to the modern-day African Namib Desert and the Lake Eyre Basin in Australia, the climate was generally arid with short, recurring wet periods that occasionally included catastrophic flash floods. Pangaea existed for 100 million years, and during that time period several animals flourished, including the Traversodontidae, a family of plant-eating animals that includes the ancestors of mammals. During the Permian period, insects such as beetles and dragonflies flourished. But the existence of Pangaea overlapped with the worst mass extinction in history, the Permian-Triassic (P-TR) extinction event. Also called the Great Dying, it occurred around 252 million years ago and caused most species on Earth to go extinct. The early Triassic period saw the rise of archosaurs, a group of animals that eventually gave rise to crocodiles and birds, and a plethora of reptiles. And about 230 million years ago some of the earliest dinosaurs emerged on Pangaea, including theropods, largely carnivorous dinosaurs that mostly had air-filled bones and feathers similar to birds. The current configuration of continents is unlikely to be the last. Supercontinents have formed several times in Earth's history, only to be split off into new continents. Right now for instance, Australia is inching toward Asia, and the eastern portion of Africa is slowly peeling off from the rest of the continent. Geologists have noticed that there is a quasi-regular cycle in which supercontinents form and break up every 300 to 400 million years, but exactly why is a mystery, Murphy said. But most scientists believe that the supercontinent cycle is largely driven by circulation dynamics in the mantle, according to a 2010 article in the Journal of Geodynamics. Beyond that, the details get fuzzy. While the heat formed in the mantle likely comes from the radioactive decay of unstable elements, such as uranium, scientists don't agree on whether there are mini-pockets of heat flow within the mantle, or if the entire shell is one big heat conveyor belt, Murphy said. Scientists have created mathematical, 3D simulations to better understand the mechanisms behind continental movement. In a 2017 article in Geoscience Frontiers, scientists Masaki Yoshida and M. Santhosh explain how they produced simulations of large-scale continental movements since the breakup of Pangaea 200 million years ago. The models show how tectonic plate motion and mantle convection forces worked together to break apart and move large land masses. For example, Pangaea's large mass insulated the mantle underneath, causing mantle flows that triggered the initial breakup of the supercontinent. Radioactive decay of the upper mantle also raised the temperature, causing upward mantle flows that broke off the Indian subcontinent and initiated its northern movement. Yoshida and Santos created additional geological models to predict mantle convection and continental movement patterns 250 million years in the future. These models suggest that over millions of years, the Pacific Ocean will close as Australia, North America, Africa, and Eurasia come together in the Northern Hemisphere. Eventually, these continents will merge, forming a supercontinent called "Amasia." The two remaining continents, Antarctica and South America, are predicted to remain relatively immobile and separate from the new supercontinent. The term cybernetics is much misused in the popular media. Often used to convey notions of high-technology, robotics , and even computer networks like the Internet, in reality, cybernetics refers to the study of communications and control in animal and machine. Great mathematicians of the past such as Wilhelm Leibniz (1646–1716) and Blaise Pascal (1623–1662) had been interested in the nature of computing machinery long before these machines had ever been realized. They concerned themselves with philosophizing over what special peculiarities might be present in machines that had the ability to compute. In the mid-1930s Alan Turing (1912–1954) developed the idea of an abstract machine (later to become known as the "Turing Machine" ). Turing machines introduced the possibility of solving problems by mechanical processes that involved a machine stepping through a sequence of states under the guidance of a controlling element of some sort. 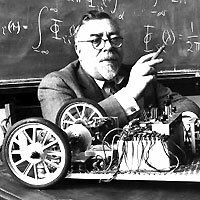 This laid the fundamental groundwork that was then developed by Norbert Wiener (1894–1964) (in photograph) into what has become cybernetics. In 1948 Wiener concluded that a new branch of science needed to be developed. This field would draw from the realms of communication, automatic control, and statistical mechanics. He chose the word cybernetics, deriving it from the Greek word for "steersman" which underlines one of the essential ingredients of this field—that of governance or control. He defined cybernetics to be "control and communication in the animal and the machine." What really makes cybernetics stand apart from other fields in science and engineering is that it focuses on what machines do rather than the details of how they actually do it. Classically, the study of a particular piece of conventional mechanical machinery—for example, a typewriter—would not be considered complete until all of the intricacies of the physics of movement of the constituent parts had been accounted for. This constitutes a Newtonian view of systems—one that commences with a perspective of Newtonian mechanics and builds from there. Cybernetics, on the other hand, accentuates the behavior and function of the machine as a whole. The result of this stance is that cybernetics is not restricted to dealing with mechanical or perhaps electrical machines only; instead it applies to anything that might possibly be viewed in some way as a machine—including organisms. That is, cybernetics looks at all the elements that are common denominators in that class of entities that might describe as machines. Wiener concluded that for a system to be classed as cybernetic, communication between parts of a system was a necessary characteristic, as was feedback from one part to another. The presence of feedback means that a cybernetic system is able to measure or perceive a quantity of some sort, then compare this to a required or desired value, and then instigate some strategy or behavior that affects change in that quantity. This is as much true of a heater and thermostat used to regulate temperature in a house, as it is of a bird that seeks refuge in a bird bath on a hot day. Historically, the human body, in particular the human brain, has been viewed by many as a type of machine. This perception was generated by people who were hopeful of finding a way of modeling human behavior in the same way that they could model human-made machines—an approach with which they were comfortable. Much effort was directed toward understanding the operation of the human brain in this light. Throughout the nineteenth and early twentieth centuries, significant advances were made in understanding the physiology of the human brain. Research into the structure of the cerebral cortex, the discovery of the brain as the center of perception, and the identification of neurones and synapses were all contributors to the conclusion that the brain is the regulator, controller, and seat of behavior of the human species. Because these ideas are fundamental to cybernetics, the human brain and the notion of intelligence are also considered as subjects that are within the realm of the cybernetic field. As a consequence, a great deal of research has been carried out in the areas of biological control theory, neural modeling , artificial intelligence (AI) , cognitive perception, and chaos theory from a perspective that resulted from the development of cybernetics. With respect to computer systems, cybernetics has been prominent in two areas. The first is artificial intelligence, where computer algorithms have been developed that attempt to exhibit some traits of intelligent behavior—initially by playing games and later by processing speech and carrying out complex image and pattern manipulation operations. The second is in robotics, which frequently encompasses artificial intelligence and other cybernetic areas such as communication and automatic control using feedback. Early robotic systems were nothing more than complex servo-mechanisms that carried out manual tasks in place of a human laborer; however, the modern cybernetic approach is to attempt to construct robots that can communicate and be guided toward acting together as a team to achieve a collective goal. This has generated interest in a new type of adaptive machine that has the capacity to re-organize its strategies and behavior if its environment or mission changes. Finally, beyond a computing context, cybernetics offers some advantages in our understanding of nature. First, it permits a unified approach to studying and understanding machine-like systems. This results from the distinct way in which the cybernetic viewpoint of systems is formulated; it is not restricted to particular machine or system types. For example, we can draw a correspondence between an electro-mechanical system like a collection of servo-motors and linkages that give a robot locomotion, and a biological system like the nervous and musculo-skeletal systems of a caterpillar. One is not required to undertake greatly differing analyses to gain an appreciation of both. Secondly, it offers a manageable way of dealing with the most predominant type of system—one that is highly complex, non-linear, and changes over time. Yangtze River, Chinese (Pinyin) Chang Jiang or (Wade-Giles romanization) Ch’ang Chiang, longest river in both China and Asia and third longest river in the world, with a length of 3,915 miles (6,300 kilometres). Its basin, extending for some 2,000 miles (3,200 km) from west to east and for more than 600 miles (1,000 km) from north to south, drains an area of 698,265 square miles (1,808,500 square km). From its source on the Plateau of Tibet to its mouth on the East China Sea, the river traverses or serves as the border between 10 provinces or regions. More than three-fourths of the river’s course runs through mountains. The Yangtze has eight principal tributaries. On its left bank, from source to mouth, these are the Yalung, Min, Jialing, and Han rivers; those on the right bank include the Wu, Yuan, Xiang, and Gan rivers. The name Yangtze—derived from the name of the ancient fiefdom of Yang—has been applied to the river mainly by those in the West. Chang Jiang (“Long River”) is the name used in China, although it also is called Da Jiang (“Great River”) or, simply, Jiang (“[The] River”). The Yangtze is the most important river of China. It is the country’s principal waterway, and its basin is China’s great granary and contains nearly one-third of the national population. The upper course of the Yangtze flows across the Plateau of Tibet and descends through deep valleys in the mountains east of the plateau, emerging onto the Yunnan-Guizhou (Yungui) Plateau. Summers there are warm, and the winters are cold. The source of the Yangtze is the Ulan Moron (Wulanmulun) River, which originates in glacial meltwaters on the slopes of the Tanggula Mountains in southern Qinghai province on the border with the Tibet Autonomous Region. From the confluence of this stream with several others, the river flows generally easterly through a shallow, spacious valley, the bottom of which is studded with lakes and small reservoirs. This part of its course lies in the higher regions of the Tibetan highlands. The river’s character changes sharply upon reaching the eastern limits of the highlands. There the river—which in this stretch is called the Jinsha—descends from a high elevation, winding its way south of the high Bayan Har Mountains and forming a narrow valley up to 2 miles (3 km) in depth. Individual mountain peaks exceed elevations of 16,000 feet (4,900 metres) above sea level and are crowned with glaciers and perpetual snow. The steep, rocky slopes are cut with gorges and deep valleys. For several hundred miles the Yangtze flows in a southeasterly direction, before turning south to flow downward in rushing rapids. For a considerable distance the river flows through passes that are so steep that no room is left even for a narrow path. Villages, which are rarely found, are located high above the river. In this region the Yangtze runs close and parallel to both the Mekong and Salween rivers; all three rivers are within 15 to 30 miles (25 to 50 km) of one another and continue to flow in mutual proximity for a distance of more than 250 miles (400 km). North of latitude 26° N these great rivers diverge, and the Yangtze turns east to pass through a winding valley with steep slopes. The river receives the waters of many tributaries, among which the Yalong River is the largest and contributes the most water. The Yangtze then widens to between 1,000 and 1,300 feet (300 and 400 metres), reaching depths often exceeding 30 feet (9 metres). In narrower gorges the water width decreases by almost half, but the depth increases sharply. Near the end of the upstream part of its course, the Yangtze descends to an elevation of 1,000 feet above sea level. Thus, over the first 1,600 miles (2,600 km) of its length, the river has fallen more than 17,000 feet (5,200 metres), or an average of more than 10 feet per mile (2 metres per km) of its course. In the mountains, however, there is a substantial stretch where the fall of the river is considerably greater. The middle course of the Yangtze stretches for about 630 miles (1,010 km) between the cities of Yibinin Sichuan province and Yichang in Hubei province. The climate is characterized by hot summers and relatively mild winters, as the high mountains to the west protect the region from the cold north and west winds. Annual precipitation measures between 40 and 60 inches (1,000 to 1,500 mm), a large part of it occurring in summer; the growing season lasts for more than six months. In most of this segment, the river crosses hilly Sichuan province, where the lower mountains and plateaus connect the highlands of southwestern China with the Qin (Tsinling) Mountains lying between the Yangtze and Huang He (Yellow River) basins. Located in this area is Chongqing, a major industrial centre and river port. The river’s width there is from about 1,000 to 1,600 feet (300 to 500 metres), and the depth in places exceeds 30 feet. The current is swift; the banks often are high and steep. The river falls some 820 feet (250 metres) in Sichuan, more than a foot per mile (0.2 metre per km) of flow. As the Yangtze flows through eastern Sichuan and into western Hubei, it traverses for a distance of 125 miles (200 km) the famous Three Gorges region before debouching onto the plains to the east. The gorges have steep, sheer slopes composed mainly of thick limestone rocks. Prior to the completion of the Three Gorges Dam in 2006, they rose some 1,300 to 2,000 feet (400 to 600 metres) above the river, although with the creation of the reservoir behind the dam their height has been diminished fairly significantly. Nonetheless, they still present the appearance of fantastic towers, pillars, or spears. Qutang, the first gorge—about 5 miles (8 km) long—is the shortest; prior to its inundation, the river there was considered the most dangerous for navigation, being extremely narrow with many rapids and eddies. Wu, the second gorge, stretches for about 30 miles (50 km); it is a narrow, steep corridor with almost vertical walls of heights up to 1,600 or even 2,000 feet above the river. The last gorge, Xiling, is located upstream of Yichang and extends for a distance of 21 miles; in places limestone cliffs rise directly out of the water, although with the rise of the reservoir to much lower heights than before. The gorges are rocky, and the walls are speckled with cracks, niches, and indentations. Even before the river was inundated, its depth in the gorges was considerable, increasing to between 500 and 600 feet (150 and 180 metres) and giving the Yangtze the greatest depths of any river in the world. The lower part of the Yangtze basin is centred on the extensive lowland plains of east-central China. The region experiences a temperate climate with warm springs, hot summers, cool autumns, and relatively cold winters for the latitude. Monsoons (seasonally changing winds) dominate the weather of the region, and in the summer and autumn typhoons occur periodically. As the Yangtze exits from the Three Gorges Dam, near Yichang, it enters a complex system of lakes, marshes, and multiple river channels developed on the plains of Hunan and Hubei provinces. This vast region, lying at elevations below 165 feet (50 metres), has served as a natural flood-regulation basin in recent geologic history. Three main tributaries (the Yuan, Xiang, and Han rivers) and many smaller ones join the Yangtze in this region, which also is where the current slows as the river reaches the plain. Water levels fluctuate considerably between the flood and low-flow seasons. In addition, the presence of a number of large lakes, including Dongting Lake and Lakes Hong and Liangzi, also causes considerable fluctuations in water volume. The total area of the lakes, at average water levels, is some 6,600 square miles (17,100 square km). The lakes are of national economic significance, mainly as fisheries. At the edge of the Lake Liangzi plain the Yangtze widens markedly, the course of its stream wandering in the form of a large loop. The width of the river is up to 2,600 feet (800 metres), the depth is more than 100 feet (30 metres), and the water current flows at a rate of about 3.5 feet (1 metre) per second. The banks are built up for protection from floods. In the southern part of the plain lies Dongting Lake, which once was the largest freshwater lake in China but now has been reduced in area by silting and land reclamation; it shares four tributaries and two canals with the Yangtze, whose flow it serves to regulate. The surrounding area, agricultural and studded with lakes, is China’s most important rice-producing region. At the centre of the lakes region is the large metropolis of Wuhan. Situated on the Yangtze near the mouth of the Han River, it was formed in 1950 by the merger of the cities of Hanyang and Hankou on the left bank and Wuchang on the right bank and has become one of China’s most important metallurgical-industry centres and river ports. Farther east the Yangtze flows into a narrowing, picturesque valley and then passes onto the plain of Jiangxi province, which contains Lake Poyang, China’s largest natural freshwater lake. The lake, with an average area of about 1,385 square miles (3,585 square km), receives the Kan River tributary and, in turn, is linked to the Yangtze by a wide tributary. The river then turns to the northeast, passes through a widening valley, and flows out onto the southern North China Plain. The width of the river increases at this point to between 3,000 and 6,000 feet (900 and 1,800 metres), and the depth in places approaches 100 feet. In this region there are a number of large cities, including Anqing, Wuhu, and Nanjing. The Grand Canal (Da Yunhe), which, with a length of nearly 1,100 miles (1,800 km), is one of the longest canals in the world; it crosses the Yangtze in the vicinity of the city of Zhenjiang. The Yangtze delta, which begins beyond Zhenjiang, consists of a large number of branches, tributaries, lakes, ancient riverbeds, and marshes that are connected with the main channel. During major floods the delta area is completely submerged. Lake Tai, with an area of about 930 square miles (2,410 square km), is notable as the largest of the many lakes in the delta. The width of the Yangtze in the delta, as far as the city of Jiangyin, ranges from less than 1 mile to almost 2 miles (1.6 to 3.2 km); farther downstream the channel gradually widens and becomes a large estuary, the width of which exceeds 50 miles (80 km) near the mouth of the river. Major cities in the delta include Wuxi, Suzhou, and, at the river’s mouth, Shanghai. Before emptying into the sea, the Yangtze divides into two arms that drain independently into the East China Sea. The left branch has a width of about 3 to 6 miles (5 to 10 km), the right branch of 6 to 15 miles (10 to 25 km). Between the branches is situated Chongming Island, which was formed over the centuries by the deposit of alluvium at the mouth of the Yangtze. The depth of the river in places approaches 100 to 130 feet (30 to 40 metres) but decreases to only several feet near the sea at the mouth of the river because of the presence of sandbars. The section of river from the mouth to 250 miles (400 km) upstream is subject to the influence of tides. The maximum range of the tides near the mouth is 13 to 15 feet (4 to 5 metres). The Yangtze delta is rich in mud and silt and is dominated by fluvial and tidal processes. The present-day bed of the Yangtze in this area is somewhat above the elevation of the plain. Thus, to protect the surrounding region from floodwaters, the banks of the main and other rivers are built up; the total length of banks on the Yangtze on which levees have been constructed is about 1,700 miles (2,740 km). Dams also have been built for flood protection on the shores of several lakes; the Qingjiang Reservoir, for example, built for this purpose near Dongting Lake, has a design capacity of 194 million cubic feet (5.5 million cubic metres). The delta is protected from the sea by two gigantic parallel banks that are faced with stone in most parts. The Yangtze basin is comparatively well irrigated; the average yearly rainfall amounts to about 43 inches (1,100 mm). Most of the precipitation is brought by the monsoon winds and falls primarily as rain in the summer months. In the mountainous part of the basin the precipitation is mainly snow. Floods, which result from the monsoon rains in the middle and lower parts of the basin, usually begin in March or April and can occur at any time during the next eight months. In May the water level decreases somewhat but then sharply increases again, continuing to rise until August, when it reaches its highest level. After that the water level gradually falls to the premonsoon levels, the decrease continuing through the autumn and most of the winter until February, when the lowest annual level is reached. The annual range of water-level fluctuations is considerable—an average of about 65 feet (20 metres)—with 26 to 35 feet (8 to 11 metres) during years of low water. Downstream from the Three Gorges Dam the impact of the water-level variation is lessened by the dam itself and by the regulating effect of the lakes. In the delta tides exert the greatest influence on the water level. Near the city of Wusong the daily tidal range is 15 feet (4.5 metres), and the yearly range is 20 feet (6 metres). A breakdown of the water volume delivered to the mouth of the Yangtze shows that the highland part of the basin contributes 10 percent of the flow, while the remainder of the water in the river is contributed by the middle and downstream parts of the basin, with runoff from the basins of Dongting Lake and Lake Poyang being responsible for about two-fifths of the volume. The Yangtze carries a tremendous volume of water. In the upstream areas the average flow exceeds 70,000 cubic feet (1,980 cubic metres) per second, which is more than the discharge rate of the second longest river in China, the Huang He, at its mouth. After the inflow from the first large tributary—the Yalong River—the volume in the Yangtze increases sharply, approaching an average of 194,000 cubic feet (5,500 cubic metres) per second. Farther downstream the Yangtze admits many tributaries, and the volume gradually increases. Prior to the completion of the Three Gorges Dam, it reached 529,000 cubic feet (15,000 cubic metres) per second at the end of the Three Gorges area, 847,000 cubic feet (24,000 cubic metres) per second at Wuhan, and some 1,100,000 cubic feet (31,100 cubic metres) per second at its mouth; the total volume entering the sea annually was roughly 235 cubic miles (979 cubic km), ranking it third in volume of flow behind the Amazon and Congo rivers. Those numbers have decreased somewhat since the completion of the dam in 2006. The suspended sediment load at the mouth of the Yangtze is some 478 million tons per year, one of the highest sediment loads of any river in the world. During the seasonal rains the Yangtze widely floods the lower areas, and the maximum volume of water entering the sea can be more than double the average flow. Likewise, the flow decreases during the dry season, sometimes to about one-fourth the average flow. In spite of the fact that the discharge volume of the Yangtze vastly exceeds that of the Huang He, the Yangtze is significantly less silty than the Huang He. This is because much of the Huang He’s course is over the Loess Plateauwith its easily erodible loess (wind-deposited soil), whereas the Yangtze flows over little loess, and its floodplains are more vegetated and less erodible. In the mountainous part of the basin, particularly in the Plateau of Tibet, the waters of the Yangtze contain little silt. Downstream, however, the waters become muddy and acquire a coffee colour. It is estimated that the Yangtze annually carries between 280 million and 300 million tons of alluvium to its mouth, depositing an estimated 150 million to 200 million tons on the river bottom in addition. Thus, the total amount of suspended material carried or deposited is between 430 million and 500 million tons per year, one of the highest sediment loads of any river in the world. As a result of the depositing of alluvium at the river’s mouth, the delta extends into the sea an average of one mile every hundred years. During the period of monsoon rains, the Yangtze and its tributaries formerly spilled over, creating extensive floods. If the floods in the main channel coincided with flooding in one or more of the major tributaries, powerful, destructive flood waves could result, an occurrence that happened repeatedly in the history of China. One of the major objectives of the Three Gorges project was to control such flooding by the river. When flooding occurs, it frequently results from the deposit of silt in the bed of the Yangtze. Upon leaving the mountains and entering the plain, the current in the Yangtze sharply decreases, and thus the flow cannot continue to carry the entire amount of silt. As a result, a significant portion is deposited in the bed, causing the bottom to rise. A similar situation occurs in many of the Yangtze’s tributaries. Flooding thus presents a great danger to the inhabitants of the adjacent plains. Human adaptation to and utilization of the plains of the Yangtze valley have evolved in the context of such floods. Among the legends and myths handed down from the earliest historical times are accounts of floods that submerged vast areas. These are said to have turned the plains into inland seas, with water remaining in the lowest places for many years at a time. Catastrophic floods have occurred throughout recorded history. During the period from 206 BCE to 1960 CE, China experienced more than 1,030 major floods. Especially extensive flooding has occurred on the Yangtze more than 50 times and on the tributary Han River more than 30 times. On the average, the Yangtze basin has been the scene of catastrophic flooding every 50 to 55 years. Widespread flooding also may take place at shorter intervals. This has been the case since the mid-19th century, as the Yangtze basin has flooded in 1870, 1896, 1931, 1949, and 1954. Of these, the 1931 and 1954 floods were national disasters. The 1931 flood resulted from heavy, continuous monsoon rains that covered most of the middle and lower parts of the basin. During May and June, six huge flood waves swept down the river, destroying the protecting dams and levees in two dozen places and flooding more than 35,000 square miles (90,000 square km) of land; 40 million people were rendered homeless or otherwise suffered. Many population centres, including Nanjing and the Wuhanconurbation, were underwater. In Wuhan the water remained for more than four months, the depth exceeding 6 feet (1.8 metres) and in places more than 20 feet (6 metres). In the summer of 1954 another powerful flood occurred, again the result of continued monsoon rains. The water level sharply increased and at times exceeded the 1931 flood levels by almost 5 feet (1.5 metres). Effective flood-control measures developed since the 1930s, however, averted many of the potential consequences of the flood. The Yangtze basin contains a significant portion of China’s population, but distribution is uneven. The highland area of the river’s upper reaches is among the most sparsely settled regions in China, while the Yangtze delta has the country’s highest population density. Outside the delta the greatest concentrations of people are in the plains that adjoin the banks of the river and its tributaries in the middle and lower basins, especially in the vicinity of the cities of Chengdu, Chongqing, Wuhan, and Nanjing. These cities are among the largest in China, and Shanghai is the country’s most populous. In the highlands of the upper basin, the population consists mainly of ethnic Tibetans engaged in traditional animal husbandry and the cultivation of such hardy grains as barley and rye. The population of the Yunnan-Guizhou Plateau is a mixture of Chinese (Han) agriculturalists and numerous ethnic minorities who combine some farming with herding and hunting. The population of the middle and lower basins becomes progressively more Chinese, although, especially in the middle basin, many other national minorities are represented. The economy of much of the Yangtze basin is focused largely on agricultural production, although inland cities such as Wuhan and Chongqing and the coastal region centred on Shanghai are among China’s most important industrial centres. The lower basin and the delta are among the most economically developed areas in the country. Mineral resources include reserves of iron ore near Wuhan and Nanjing and such deposits as coal, copper, phosphorus, gold, oil, and natural gas in Sichuan province. The Yangtze basin contributes nearly half of China’s crop production, including more than two-thirds of the total volume of rice. Among the other crops grown are cotton, wheat, barley, corn (maize), beans, and hemp. Of note is eastern Sichuan province, which its people call the “Land of Plenty.” The soil there is extremely fertile, and the climatic conditions are highly favourable to agriculture. The mild climate also facilitates sericulture, the production of raw silk by raising silkworms. Cultivation is most intensive, however, in the lower basin and delta, where the natural conditions are exceptionally favourable: the growing period ranges from 8 to 11 months, and in some areas two or three crops can be harvested annually. The extensive territory under cultivation in the Yangtze basin—especially for rice—requires man-made irrigation facilities. Even in the areas of highest precipitation, severe droughts are experienced, resulting in crop losses. This is explained by the extremely irregular distribution of precipitation over the course of the year, with 60 to 80 percent falling in the summer. Rainless periods sometimes last for six to eight weeks. Irrigation has existed in the Yangtze basin since ancient times, but many modern irrigation projects have been undertaken, the largest being the Three Gorges project. The Yangtze River and its associated tributaries and lakes abound with fish. The fishing trade is widely developed and is a major livelihood for much of the population of the region. Hundreds of species are found in Chinese rivers, the majority of which inhabit the Yangtze and its tributaries. Some 30 species are of economic significance, especially carp, bream, Chinese perch, gapers (a species of large burrowing clam), and lamprey; the most valuable economically are white and black amur (large members of the carp family), flatfish, and spotted flatfish. Sturgeon also are important, the gorges being a favourite spawning area. Farther downstream great amounts of roe can be found, and these are collected and distributed throughout the country for artificial cultivation. The artificial cultivation of fish for trade involves mainly white and black amur, flatfish, and carp. The Yangtze is the principal navigable waterway of China. Along the river for 1,700 miles (2,700 km) there is intensive cargo and passenger traffic. The river serves as a continuation of the sea routes, binding the inland and coastal ports together with other major cities into a transportation network in which Nanjing, Wuhan, and Chongqing play the leading roles. Motorized junks, other powered vessels, and a small number of sail craft are widely used for transporting cargo. Because of the ship locks at the Three Gorges Dam, large ships of up to 10,000 tons can travel as far upriver as Chongqing. Water routes in the Yangtze basin total about 35,000 miles (56,300 km). The Yangtze is joined to navigable stretches of the Huang He and the Huai, Wei, and Hai rivers by the Grand Canal, which is further connected with the seaports of Hangzhou and Tianjin. Of the several projects undertaken since the 1950s to improve navigation through the gorges region, none has matched the massive Three Gorges Dam project. Large projects have been undertaken to strengthen and enlarge the levee system. In addition, bridges have been built across the Yangtze at Wuhan, Chongqing, Nanjing, and other cities, improving north-south transport links and reducing dependence on ferries. The resources for the production of energy from the Yangtze are enormous, although they have not been developed to a large extent. The total potential power is estimated to be more than 200 million kilowatts, representing about two-fifths of the total energy potential of all the rivers of China. Until the Three Gorges Dam project got under way, the most ambitious project completed was the Gezhoubahydroelectric dam above Yichang, which was the first structure to block the flow of the Yangtze. Gezhouba was superseded by the massive Three Gorges Dam project. At the time of the Three Gorges Dam’s completion in 2006, it was the largest dam structure in the world. It blocks the Yangtze to create a reservoir that submerged large areas of the Qutang, Wu, and Xiling gorges for some 375 miles (600 km) upstream. The hydroelectric component of the project, which became fully operational in 2012, has the capacity to generate approximately 22,500 megawatts of hydroelectric power. Many tributaries of the Yangtze that have significant fall and volume—such as the Yalong, Min, and Jialing rivers—and other rivers that are tributaries of Dongting Lake and Lake Poyang also have considerable potential. Environmental degradation in the Yangtze basin has accelerated with increased economic development since 1950. Pollution levels have risen in the rivers and lakes, soil erosion in the middle and upper basins caused by overgrazing and the overcutting of trees has increased silt loads, and land reclamation has reduced surface areas of lakes and wetlands. However, nothing has had a greater impact than the Three Gorges project. One of the greatest objections critics of the project have made is that it floods an area that is one of the most scenically beautiful in China. Another concern has been that the changes made to the Yangtze’s regime could adversely affect several endangered animal species inhabiting the basin, including the Chinese alligator, the finless porpoise, and the Chinese sturgeon. In addition, numerous towns and cities have been inundated by the reservoir, forcing the relocation of some one million people. It is also argued that the buildup of sediment will cause reservoir levels to rise too high to contain floods and that the area—which is highly active seismically and frequently is prone to landslides—could be at increased risk for catastrophic dam failure. Furthermore, it is feared that the waters downstream from the dam, now largely free of their silt burden, will tend to erode surrounding banks rather than build them up and may cause much land degradation. The Yangtze River basin is one of the longest-inhabited regions in China. Although much of China’s political history has centred around North China and the Huang He basin, the Yangtze region always was of great economic importance to successive dynasties for its agricultural potential. The Grand Canal was built in order to transport grain from the Yangtze basin to the great northern capital cities; it is possible that the southernmost portion of the canal was in use as early as the 4th century BCE, and much of it was constructed in the 7th century CE. Over the course of time the Yangtze has served as both a political and a cultural boundary. The river now demarcates the provinces constituting South China. The Yangtze also was the focus of many of the imperialist incursions into China in the 19th century and the first half of the 20th, with Shanghai at the river’s mouth becoming the main foreign commercial base. Since 1950 the river and its basin have been the focus of much of China’s economic modernization. Glass, an inorganic solid material that is usually transparent or translucent as well as hard, brittle, and impervious to the natural elements. Glass has been made into practical and decorative objects since ancient times, and it is still very important in applications as disparate as building construction, housewares, and telecommunications. It is made by cooling molten ingredients such as silica sand with sufficient rapidity to prevent the formation of visible crystals. A brief treatment of glass follows. Glass is treated in detail in a number of articles. Stained glass and the aesthetic aspects of glass design are described in stained glass and glassware. The composition, properties, and industrial production of glass are covered in industrial glass. The physical and atomic characteristics of glass are treated in amorphous solid. The varieties of glass differ widely in chemical composition and in physical qualities. Most varieties, however, have certain qualities in common. They pass through a viscous stage in cooling from a state of fluidity; they develop effects of colour when the glass mixtures are fused with certain metallic oxides; they are, when cold, poor conductors both of electricity and of heat; most types are easily fractured by a blow or shock and show a conchoidal fracture; and they are but slightly affected by ordinary solvents but are readily attacked by hydrofluoric acid. Commercial glasses may be divided into soda–lime–silica glasses and special glasses, most of the tonnage produced being of the former class. Such glasses are made from three main materials—sand (silicon dioxide, or SiO2), limestone (calcium carbonate, or CaCO3), and sodium carbonate (Na2CO3). Fused silica itself is an excellent glass, but, as the melting pointof sand (crystalline silica) is above 1,700 °C (3,092 °F) and as it is very expensive to attain such high temperatures, its uses are restricted to those in which its superior properties—chemical inertness and the ability to withstand sudden changes of temperature—are so important that the cost is justified. Nevertheless, the production of fused silica glass is quite a large industry; it is manufactured in various qualities, and, when intended for optical purposes, the raw material used is rock crystal rather than quartz sand. To reduce the melting point of silica, it is necessary to add a flux; this is the purpose of the sodium carbonate (soda ash), which makes available the fluxing agent sodium oxide. By adding about 25 percent of the sodium oxide to silica, the melting point is reduced from 1,723 to 850 °C (3,133 to 1,562 °F). But such glasses are easily soluble in water (their solutions are called water glass). The addition of lime (calcium oxide, or CaO), supplied by the limestone, renders the glass insoluble again, but too much makes a glass prone to devitrification—i.e., the precipitation of crystalline phases in certain ranges of temperature. The optimum composition is about 75 percent silica, 10 percent lime, and 15 percent soda, but even this is too liable to devitrification during certain mechanical forming operations to be satisfactory. In making sheet glass it is customary to use 6 percent of lime and 4 percent of magnesia (magnesium oxide, or MgO), and in bottle glass about 2 percent alumina (aluminum oxide, or Al2O3) is often present. Other materials are also added, some being put in to assist in refining the glass (i.e., to remove the bubbles left behind in the melting process), while others are added to improve its colour. For example, sand always contains iron as an impurity, and, although the material used for making bottles is specially selected for its low iron content, the small traces of impurity still impart an undesirable green colour to the container; by the use of selenium and cobalt oxide together with traces of other chemicals, it is possible to neutralize the green colour and produce a so-called white (decolourized) glass. Glasses of very different, and often much more expensive, compositionsare made when special physical and chemical properties are necessary. For example, in optical glasses, a wide range of compositions is required to obtain the variety of refractive index and dispersion needed if the lensdesigner is to produce multicomponent lenses that are free from the various faults associated with a single lens, such as chromatic aberration. High-purity, ultratransparent oxide glasses have been developed for use in fibre-optic telecommunications systems, in which messages are transmitted as light pulses over glass fibres. When ordinary glass is subjected to a sudden change of temperature, stresses are produced in it that render it liable to fracture; by reducing its coefficient of thermal expansion, however, it is possible to make it much less susceptible to thermal shock. The glass with the lowest expansion coefficient is fused silica. Another well-known example is the borosilicate glass used for making domestic cookware, which has an expansion coefficient only one-third that of the typical soda–lime–silica glass. In order to effect this reduction, much of the sodium oxide added as a flux is replaced by boric oxide (B2O3) and some of the lime by alumina. Another familiar special glass is the lead crystal glass used in the manufacture of superior tableware; by using lead monoxide (PbO) as a flux, it is possible to obtain a glass with a high refractive index and, consequently, the desired sparkle and brilliance. The agents used to colour glass are generally metallic oxides. The same oxide may produce different colours with different glass mixtures, and different oxides of the same metal may produce different colours. The purple-blue of cobalt, the chrome green or yellow of chromium, the dichroic canary colour of uranium, and the violet of manganese are constant. Ferrous oxide produces an olive green or a pale blue according to the glass with which it is mixed. Ferric oxide gives a yellow colour but requires an oxidizing agent to prevent reduction to the ferrous state. Lead gives a pale yellow colour. Silver oxide gives a permanent yellow stain. Finely divided vegetable charcoal added to a soda–lime glass gives a yellow colour. Selenites and selenates give a pale pink or pinkish yellow. Tellurium appears to give a pale pink tint. Nickel with a potash–lead glass gives a violet colour, and a brown colour with a soda–lime glass. Copper gives a peacock blue, which becomes green if the proportion of the copper oxide is increased. An important class of materials is the chalcogenide glasses, which are selenides, containing thallium, tellurium, and antimony in various proportions. They behave as amorphous semiconductors. Their photoconductive properties are also valuable. Certain metallic glasses have magnetic properties; their characteristics of ease of manufacture, magnetic softness, and high electrical resistivity make them useful in the magnetic cores of electrical powertransformers. Many different useful and decorative articles have been made from glass over the centuries. The history of glass as a creative art has been determined partly by technical advances in its manufacture and decoration and partly by the history of taste and fashion. Glass was first made in the ancient world, but its earliest origins are obscure. Egyptian glass beads are the earliest glass objects known, dating from about 2500 BCE. Later in Egyptian civilization, a type of glass characterized by feathery or zigzag patterns of coloured threads on the surface of the glass vessel was made. The real origins of modern glass were in Alexandria during the Ptolemaic period and, later, in ancient Rome. Alexandrian craftsmen perfected a technique known as mosaic glass in which slices of glass canes of different colours were cut crossways to make different decorative patterns. Millefiori glass, for which the canes are cut in such a way as to produce designs reminiscent of flower shapes, is a type of mosaic glass. Molded glass was also developed early, glass being pressed into a mold to form a particular shape. Various types of decoration involving engraving and colour were also possible. Glassblowing was probably developed during the 1st century BCE by glassmakers in Syria. With this technique the possibilities of shaping glass into desired forms were endless. Glass could be blown into a mold or shaped completely free-form. The Romans perfected cameo glass, in which the design has been produced by cutting away a layer of glass to leave the design in relief. The next major developments in the history of glass came during the 15th century in Venice. As early as the 13th century the Venetian island of Murano had become the centre for glassmaking. At first, Venetian glassmakers made use of many of the ancient and medieval decorative techniques to produce richly coloured and ornamental pieces having motifs characteristic of the Italian Renaissance. Later they developed a clear glass similar to crystal, called cristallo, which was to form the basis for a thriving export trade and spread throughout Europe. Simple blown glasses of this type were much in demand in the 16th century. Such glass lent itself to decoration by the engraving of delicate designs; used from the early 16th century, the technique remained popular well into the 18th century throughout Europe. Diamond-point engraving was practiced in particular in the Netherlands and in Germany. Late in the 17th century Bohemia became an important glass-producing area, and it remained important until early in the 20th century. By the 17th century England was making glass in the Venetian tradition that was notable for its simplicity. The glassmaker George Ravenscroftdiscovered about 1675 that the addition of lead oxide to Venetian-type glass produced a solid, heavier glass. Lead crystal, as it was known, thereafter became a favourite type of glass for fine tableware. Enameling came into fashion in the middle of the 18th century in England, leading to the development of the type of glass sometimes called Bristol glass. In the 18th century glass cutting came into fashion. As this technique was perfected, great richness of effect became possible. Eventually, by the end of the 18th century, when the technique was further developed in Ireland, the whole surface of glass was being deeply cut to reflect light. This English and Irish cut lead crystal was imitated in Europe and in the United States and has remained popular to the present day. Waterford crystal is an important example of this type. The Art Nouveau period saw some important changes. The Favrile glassinvented by Louis Comfort Tiffany, with its flowing shapes derived from naturalistic forms and its lustrous surface, was much admired and particularly influenced glassmakers in central Europe. The French glassmaker Émile Gallé and the firm of Daum Frères were also important designers in the Art Nouveau epoch. René Lalique, one of the leaders of French glass art, made glass characterized by relief decoration. The Steuben Glass Company of New York produced clear glass objects, often with engraved or incised designs. The unique flavour of Antwerp is derived from the combination of, and tensions between, the diverse aspects of its personality: a passionate commitment to commerce goes hand in hand with an abiding interest in the life of ideas and in the arts; respect and affection for the past are juxtaposed with a fervent desire to participate fully in the present and in the future; and awareness of being a truly European and cosmopolitancity, with a resulting openness and broad curiosity, coexists with a sense of tradition and of idiosyncratic particularity, which lend an almost provincial charm to life in the city. In its centre a lively social activity is conducted on the streets and in the countless cafés. The Schelde is the veritable heart and soul of Antwerp, the raison d’être not only of Antwerp’s dynamic economic life but also of its sense of identity and of the deep attachment—touchingly expressed in many literary works—that Antwerpians tend to feel for their city. A dense network of railway lines and highways serves Antwerp’s huge port and industrial complex, and the city is a rail and road centre for Belgian and international destinations. Antwerp is also well integratedinto Europe’s vast inland waterway network. The airport at Deurne is important for freight and passenger flights. On the local level, public transportation in the city consists of a network of bus lines and tramways; some of the tramways have been transformed into subway lines. The site of Antwerp was probably already inhabited, as excavations on the right bank of the Schelde have proved, in Gallo-Roman times, in the 2nd and 3rd centuries CE. After the great Eurasian migrations of the 4th and 5th centuries, the region was occupied and Germanized by Franksand possibly Frisians, who gave it its present name, from the Germanic prefix anda (“against”) and a noun derived from the verb werpen (“to throw”), indicating a structure—possibly a predecessor of Antwerp’s 9th-century fortified castle, the Steen—erected against something or someone. The port underwent its first northward extension. New industries included breweries, malt factories, and bleaching works. Together with the already established finishing works of (English) cloth, tapestry, and silk factories, the sugar refineries, and the diamond industry, they made Antwerp one of the greatest industrial centres of western Europe. Antwerp also became a financial centre: its Stock Exchange (inaugurated 1531), a model for the younger London and Amsterdam exchanges, was the scene of dramatic and momentous events, in which financial agents and bankers of the Habsburg, Tudor, and Valoismonarchs played their part, together with Antwerpian, English, French, Portuguese, Italian, Spanish, and German merchants. Antwerp also became a great cultural centre: its school of painting began to flourish at the end of the 15th century; the city’s printing houses became known throughout Europe; and humanism began to thrive. A microscope magnifies and resolves the image of an object that otherwise would be invisible to the unaided eye, or whose detail could not be resolved using the unaided eye. These objects include such items as human skin, the eye of a fly, cells of a living organism, microorganisms such as bacteria, protozoa and viruses, individual molecules, and atoms. 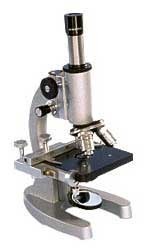 Some of the above objects are large enough to be visible using the magnifying power of a light microscope. Examples include skin cells, parts of insects, and bacteria. Bacteria appear just as tiny objects. They are so small that they approach the detection limits of the light microscope. In order to make out details of microorganisms such as bacteria, and to be able to visualize viruses, much higher magnification is required. Cellulose is the most abundant organic molecule in nature. It is a polysaccharide assembled from glucose monomer units, and it (together with other materials such as hemicellulose and lignin) is the main constituent of plant cell walls. Along with several undigestible polysaccharides, cellulose constitutes the main part of dietary fiber. Specifically cellulose is one of the components of insoluble fiber. The glucose units in cellulose are combined in a way that results in the formation of very linear, flat molecules that can, in turn, form sheets that possess extensive networks of hydrogen bonds . The hydrogen bonds are both within individual sheets and between successive sheets. As a result of these bonds, sheets of cellulose are particularly strong—a property critical to the function of plant cell walls. Cellulose shows a variable degree of polymerization, with anywhere from 1,000 to 14,000 glucose residues comprising a single cellulose polymer. Because of its high molecular weight and crystalline structure, cellulose is insoluble in water and has a poor ability to absorb water. Human beings lack the enzyme cellulase and are therefore unable to break cellulose down to individual glucose molecules. Although many fungi are able to break down cellulose to glucose, only a few types of bacteria have this ability. In the rumina of cows, sheep, and goats, two different types of bacteria produce the enzyme that breaks down cellulose. Cellulose and its derivatives are used in a number of food products to modify those foods in different ways (e.g., as a thickener, stabilizer, or texturizer). The fibrous form is a basic material that is used to make both textiles and paper. Cellulose is also used to make nitrocellulose (an ingredient in explosives and lacquers) and as a binder in the manufacture of medicinal tablets. Pineapple, (Ananas comosus), fruit-bearing plant of the family Bromeliaceae, native to tropical and subtropical America but introduced elsewhere. The pineapple plant resembles the agave or some yuccas in general appearance. It has from 30 to 40 stiff, succulent leaves closely spaced in a rosette on a thick, fleshy stem. With commercial varieties, a determinate inflorescence forms about 15 to 20 months after planting on a flower stalk 100–150 mm (4–6 inches) in length. The originally separate light purple flowers, together with their bracts, each attached to a central axis core, become fleshy and fuse to form the pineapple fruit, which ripens five to six months after flowering begins. Fruits of commercial varieties range from 1 to 2 kg (2 to 4 pounds) in weight. The earliest written references to pineapple are by Columbus, Gonzalo Fernández de Oviedo y Valdés, and Sir Walter Raleigh, who found pineapple growing in the West Indies, where it was used for food and wine making. The Portuguese were apparently responsible for early dissemination of the pineapple. They introduced it to Saint Helena shortly after they discovered that island in 1502. Soon after, they carried it to Africa and, by about 1550, to India. Before the end of the 16th century, cultivation of the plant had spread over most of the tropical areas of the world, including some of the islands of the South Pacific. 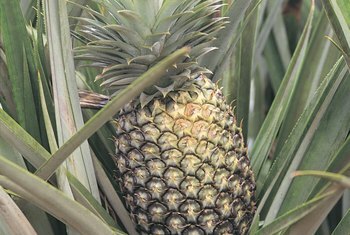 When pineapple is cultivated on modern plantations, an asphalt-impregnated mulch paper is usually first laid on well-tilled soil in rows, with the edges covered to anchor the strips of paper. The pineapple propagating pieces are inserted through the paper into the soil, so spaced as to give a population of 15,000–20,000 plants per acre. The pineapple has become a characteristic ingredient in the meat, vegetable, fish, and rice dishes of what is loosely termed Polynesian cuisine, a blend of various Oriental styles of cooking. The fruit is eaten fresh where available and in canned form worldwide. In the United States and in Europe it is sometimes used as a pastry filling or in baked desserts. Total world production of pineapples ordinarily averages about 8,300,000 metric tons annually, of which an estimated 20 percent is produced in Thailand, which during the 1970s replaced the former leading producer, the Hawaiian Islands. Other areas of substantial production include the Philippines, China, Brazil, Mexico, Côte d’Ivoire, India, and Taiwan. It started with light. The word spectroscopy is derived from two words: spectrum, which means image in Latin, and skopia, which means observation in Greek. In the 17th century, Isaac Newton used the word spectrum as a scientific way to describe the rainbow set of colors obtained by passing a sunbeam through a prism. Later it was extended to cover all frequencies of electromagnetic radiation, from long radio waves to short gamma rays, i.e., the electromagnetic spectrum. Spectroscopy became a scientific tool in 19th century with the spectrochemical analysis of material composition established by the German scientists Gustav Kirchhoff and Robert Bunsen. As many as 16 Nobel prizes were awarded in the 20th century in the field of spectroscopy. Currently, spectroscopic analysis is one of the most common analytical approaches, applicable from atoms to stars. How can a method be so versatile? The term spectroscopy is used to describe a family of analytical techniques, in which a range of frequencies (light, UV, IR, etc.) is applied to materials to obtain spectral characteristics, or the spectra of these materials in a form of a graph. The materials spectra are obtained due to the unique interaction of material components with certain frequencies of electromagnetic waves (such as absorption or emission), so here the word spectrum is used typically to describe a graphic representation (intensity versus frequency) of the unique properties of the material. Comparing the spectra, overlaying, or superimposing spectra of closely related materials on the same graph allows the pinpointing of differences between them. In addition to the term spectroscopy, spectrometry and spectrography are also commonly used. Analytical spectroscopy is defined by the range of the electromagnetic waves interacting with the material, such as ultraviolet-visible, infrared, X-ray, radio, or microwave frequencies. The interactions of the material and the electromagnetic waves include absorption, emission, reflection, refraction, resonance, scattering, and impedance. The specific interaction of the material and the electromagnetic energy can take place and characterize the material on different levels, such as nuclear, atomic, molecular and supramolecular scales. In other words, depending on the method and the source of electromagnetic waves, one can obtain information about the atoms, molecules, or crystal structure of the material. The equipment used for spectroscopic analysis depends on the method and can be of increasing complexity. If a material to be studied is soluble, already a transparent liquid, or a thin film or a coating, the analysis often starts with UV-visible spectroscopy (UV-Vis). Let’s take a closer look at a tool present in almost any analytical laboratory, a UV-Visible Spectrometer, which is useful for a wide variety of applications. Modern spectroscopy methods include Nuclear Magnetic Resonance Spectroscopy (NMR), Fourier Transform Infrared Spectroscopy (FTIR), X-ray Fluorescence Spectroscopy (XRF), Inductively Coupled Plasma Analysis Spectroscopy (ICP), Auger Electron Spectroscopy and many others. Spectroscopy methods, combined with other analytical techniques, offer a double advantage. For example, Scanning Electron Microscopy with Energy Dispersive Spectroscopy (SEM/EDS) is used not only to analyze structure, but also chemical composition with very high resolution, or Gas Chromatography-Mass Spectrometry (GC-MS) can detect the faintest aroma. A good example of everyday application of spectroscopy is on-site material analysis, performed with a variety of portable spectrometers of different functions (FTIR, Raman, UV-Vis and XRF), allowing to test “samples” the size of an airplane or contaminants in ultralow concentrations. Acetylene, also called Ethyne, the simplest and best-known member of the hydrocarbon series containing one or more pairs of carbon atoms linked by triple bonds, called the acetylenic series, or alkynes. It is a colourless, inflammable gas widely used as a fuel in oxyacetylene welding and cutting of metals and as raw material in the synthesis of many organic chemicals and plastics; its chemical formula is C2H2. Pure acetylene is a colourless gas with a pleasant odour; as prepared from calcium carbide it usually contains traces of phosphine that cause an unpleasant garliclike odour. Acetylene can be decomposed to its elements with the liberation of heat. The decomposition may or may not give rise to explosion, depending on conditions. Pure acetylene under pressure in excess of about 15 pounds per square inch or in liquid or solid form explodes with extreme violence. Mixtures of air and acetylene are explosive over a wide range, from about 2.5 percent air in acetylene to about 12.5 percent acetylene in air. When burned with the correct amount of air, acetylene gives a pure, white light, and for this reason it was at one time used for illumination in locations where electric power was not available, e.g., buoys, miners’ lamps, and road signals. The combustion of acetylene produces a large amount of heat, and, in a properly designed torch, the oxyacetylene flame attains the highest flame temperature (about 6,000° F, or 3,300° C) of any known mixture of combustible gases. The hydrogen atoms in acetylene can be replaced by metallic elements to form acetylides—e.g., acetylides of silver, copper, or sodium. The acetylides of silver, copper, mercury, and gold are detonated by heat, friction, or shock. In addition to its reactive hydrogen atom, the carbon–carbon triple bond can readily add halogens, halogen acids, hydrogen cyanide, alcohols, amines, and amides. Acetylene can also add to itself or to aldehydes and ketones. Many of the reactions mentioned here are used for the commercial manufacture of various industrial and consumer products, such as acetaldehyde, the synthetic rubber neoprene, water-base paints, vinyl fabric and floor coverings, dry-cleaning solvents, and aerosol insecticide sprays. Acetylene is produced by any of three methods: by reaction of water with calcium carbide, by passage of a hydrocarbon through an electric arc, or by partial combustion of methane with air or oxygen. The cell membrane (plasma membrane) is a thin semi-permeable membrane that surrounds the cytoplasm of a cell. Its function is to protect the integrity of the interior of the cell by allowing certain substances into the cell while keeping other substances out. It also serves as a base of attachment for the cytoskeleton in some organisms and the cell wall in others. Thus the cell membrane also serves to help support the cell and help maintain its shape. Another function of the membrane is to regulate cell growth through the balance of endocytosis and exocytosis. In endocytosis, lipids and proteins are removed from the cell membrane as substances are internalized. In exocytosis, vesicles containing lipids and proteins fuse with the cell membrane increasing cell size. Animal cells, plant cells, prokaryotic cells, and fungal cells have plasma membranes. Internal organelles are also encased by membranes. Golgi Apparatus - manufactures, stores and ships certain cellular products. Urea, also called carbamide, the diamide of carbonic acid. Its formula is H2NCONH2. Urea has important uses as a fertilizer and feed supplement, as well as a starting material for the manufacture of plastics and drugs. It is a colourless, crystalline substance that melts at 132.7° C (271° F) and decomposes before boiling. Urea is the chief nitrogenous end product of the metabolic breakdown of proteins in all mammals and some fishes. The material occurs not only in the urine of all mammals but also in their blood, bile, milk, and perspiration. In the course of the breakdown of proteins, amino groups (NH2) are removed from the amino acids that partly comprise proteins. 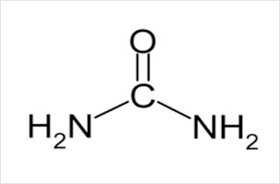 These amino groups are converted to ammonia (NH3), which is toxic to the body and thus must be converted to urea by the liver. The urea then passes to the kidneys and is eventually excreted in the urine. Urea was first isolated from urine in 1773 by the French chemist Hilaire-Marin Rouelle. Its preparation by the German chemist Friedrich Wöhler from ammonium cyanate in 1828 was the first generally accepted laboratory synthesis of a naturally occurring organic compound from inorganic materials. Urea is now prepared commercially in vast amounts from liquid ammonia and liquid carbon dioxide. These two materials are combined under high pressures and elevated temperatures to form ammonium carbamate, which then decomposes at much lower pressures to yield urea and water. Because its nitrogen content is high and is readily converted to ammonia in the soil, urea is one of the most concentrated nitrogenous fertilizers. An inexpensive compound, it is incorporated in mixed fertilizers as well as being applied alone to the soil or sprayed on foliage. With formaldehyde it gives methylene–urea fertilizers, which release nitrogen slowly, continuously, and uniformly, a full year’s supply being applied at one time. Although urea nitrogen is in nonprotein form, it can be utilized by ruminant animals (cattle, sheep), and a significant part of these animals’ protein requirements can be met in this way. The use of urea to make urea–formaldehyde resin is second in importance only to its use as a fertilizer. Large amounts of urea are also used for the synthesis of barbiturates. Urea reacts with alcohols to form urethanes and with malonic esters to give barbituric acids. With certain straight-chain aliphatic hydrocarbons and their derivatives, urea forms crystalline inclusion compounds, which are useful for purifying the included substances. Formic acid (HCO2H), also called methanoic acid, the simplest of the carboxylic acids, used in processing textiles and leather. Formic acid was first isolated from certain ants and was named after the Latin formica, meaning “ant.” It is made by the action of sulfuric acid upon sodium formate, which is produced from carbon monoxide and sodium hydroxide. 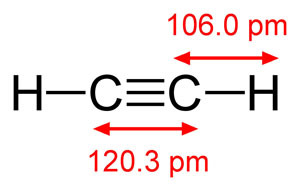 Formic acid is not a typical carboxylic acid; it is distinguished by its acid strength, its failure to form an anhydride, and its reactivity as a reducing agent—a property due to the ―CHO group, which imparts some of the character of an aldehyde. 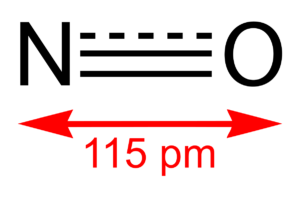 The methyl and ethyl esters of formic acid are commercially produced. Concentrated sulfuric acid dehydrates formic acid to carbon monoxide. Salar de Uyuni (or Salar de Tunupa) is the world’s largest salt flat at 10,582 square kilometers (4,086 sq mi). It is located in the Potosí and Oruro departments in southwest Bolivia, near the crest of the Andes, and is elevated 3,656 meters (11,995 ft) above the mean sea level. Bolivia’s Salar de Uyuni is considered one of the most extreme and remarkable vistas in all of South America, if not Earth. Stretching more than 4,050 square miles of the Altiplano, it is the world’s largest salt flat, left behind by prehistoric lakes evaporated long ago. Here, a thick crust of salt extends to the horizon, covered by quilted, polygonal patterns of salt rising from the ground. Uyuni, Bolivia: The most popular jumping-off point for salt flats tours, Uyuni is a small, dusty town packed with tourism agencies in Plaza Arce, its main square. Travelers can book tours in advance online, through tour offices in La Paz, or they can simply arrive in Uyuni and peruse the options in town. Since Uyuni is so close to the salt flats, tourists can easily book day trips. Flights from La Paz to Uyuni can be booked through Amaszonas and BoA. San Pedro de Atacama, Chile: Agencies drive travelers to the border before handing the tour over to a Bolivian operator. Due to the distance, this is a three-day tour. Tupiza, Bolivia: This is the best starting point for travelers coming from Argentina. Tour operators recommend four-day tours from Tupiza, visiting Salar de Uyuni on the final day. Salar de Uyuni has two distinct seasons. The rainy season (December to April) is when visitors come to witness the Salar’s breathtaking mirror effect. Be wary of excessive rain in December and January, as it can cause tour cancelations. During the dry season (May to November) temperatures are colder, the ground has hardened, and travelers can drive across the stark white landscape to places that aren’t accessible in the rainy season. Tour operators consider June through August their high period, and rates may rise accordingly. While the salt flats are one of Bolivia’s most popular attractions, it’s only a small part of the gorgeous Altiplano region. Many visitors indulge in a three-day tour (or longer) that includes the deserts, volcanos, geysers, hot springs, and high-altitude lakes to the south. Tours out of San Pedro de Atacama and Tupiza are already scheduled to drive through these sites. Travelers can choose between a shared tour (cheaper and standardized) or private tour (higher-priced and custom-tailored). Shared tours generally provide Spanish-speaking guides who double as the driver and chef. These follow a rigid itinerary that will not likely accommodate individual requests and can hinder certain times of day, like sunrise or sunset. Private tours, by contrast, can be customized to a client’s liking, giving travelers more control over itinerary and the ability to go off the beaten path to volcanos or caves. Private tours also provide an English-speaking guide, chef, and a more comfortable vehicle. Check online reviews and travel guides to carefully choose a reputable guide. Avoid companies that offer rock bottom prices—they may not provide an accredited guide or working car, which can endanger tourists. Also ask your agency whether they carry an emergency radio and first-aid kit. One of the highlights of Salar de Uyuni is an endless horizon that allows photographers to play with perspective and depth of field. Stage battle scenes with toy dinosaurs, cook your friends in pots and pans, or crawl out of seemingly giant jars of peanut butter. The key to great photos is to get the camera low to the ground and close to your prop. This gives the perspective that the prop is larger than the human subjects, who stand farther away. Don’t let your subjects venture too far, though—the larger the distance between the prop and the subjects, the harder it will be to keep everything in focus. If your camera permits, make the aperture as narrow as possible. At nearly 12,000 feet above sea level, visitors may experience altitude sickness if they haven’t properly acclimatized. Symptoms include nausea, headaches, and insomnia among others. Discuss various options for preventing and treating altitude sickness with your doctor before your trip. Monitor, (family Varanidae), any lizard of the genera Varanus or Lanthanotus in the family Varanidae. 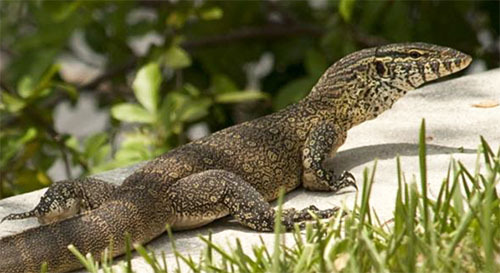 About 50 species of Varanus are recognized in the subfamily Varaninae. Most have an elongated head and neck, a relatively heavy body, a long tail, and well-developed legs. Their tongues are long, forked, and snakelike. They are found in Africa south of the Sahara, through southern and southeastern Asia, in Australia, and on islands in the southwestern Pacific. The smallest monitor attains a full length of only 20 cm (8 inches); however, several species grow to great size and length. Examples of large monitor species include the Komodo dragon (V. komodoensis) of Indonesia, the largest of all lizards, which grows to a length of 3 metres (10 feet); the two-banded, or water, monitor (V. salvator) of Southeast Asia, which grows to 2.7 metres (9 feet); the perentie (V. giganteus) of central Australia, which grows to 2.4 metres (8 feet); and V. bitatawa of the island of Luzon in the Philippines, which grows to 2.0 metres (about 7 feet). Partial fossils of Megalania prisca, an extinct Australian monitor that lived during the Pleistocene Epoch, suggest that it exceeded 7 metres (23 feet) in length and likely weighed nearly 600 kg (about 1,300 pounds). All Varanus species except V. bitatawa and V. olivaceus (another monitor found on Luzon) are carnivorous and often consume large insects and spiders, other lizards, small mammals, and birds. V. komodoensis is known to capture much larger prey such as water buffalo (Bubalus bubalis). V. olivaceus eats fruits in addition to animal prey, whereas V. bitatawa appears to subsist primarily on fruit. The earless monitor (L. borneensis), a rare and little-known lizard native to Borneo, is the only species in the subfamily Lanthanotinae. It too is elongate with a relatively long neck, but the limbs are small. It grows to a length of 40 cm (16 inches). (A neutrino is a subatomic particle that is very similar to an electron, but has no electrical charge and a very small mass, which might even be zero. Neutrinos are one of the most abundant particles in the universe. Because they have very little interaction with matter, however, they are incredibly difficult to detect. Nuclear forces treat electrons and neutrinos identically; neither participate in the strong nuclear force, but both participate equally in the weak nuclear force. Particles with this property are termed leptons. In addition to the electron (and it's anti-particle, the positron), the charged leptons include the muon (with a mass 200 times greater than that of the electron), the tau (with mass 3,500 times greater than that of the electron) and their anti-particles. Mango, (Mangifera indica), member of the cashew family (Anacardiaceae) and one of the most important and widely cultivated fruits of the tropical world. The mango tree is considered indigenousto eastern Asia, Myanmar (Burma), and Assam state of India. Mangoes are a rich source of vitamins A, C, and D.
The tree is evergreen, often reaching 15–18 metres (50–60 feet) in height and attaining great age. The simple leaves are lanceolate, up to 30 cm (12 inches) long. The flowers—small, pinkish, and fragrant—are borne in large terminal panicles (loose clusters). Some have both stamens and pistils, while others have stamens only. The fruit varies greatly in size and character. Its form is oval, round, heart-shaped, kidney-shaped, or long and slender. The smallest mangoes are no larger than plums, while others may weigh 1.8 to 2.3 kg (4 to 5 pounds). Some varieties are vividly coloured with shades of red and yellow, while others are dull green. The single large seed is flattened, and the flesh that surrounds it is yellow to orange in colour, juicy, and of distinctive sweet-spicy flavour. The mango does not require any particular soil, but the finer varieties yield good crops only where there is a well-marked dry season to stimulate fruit production. In rainy areas a fungal disease known as anthracnose destroys flowers and young fruits and is difficult to control. Propagation is by graftingor budding. Inarching, or approach grafting (in which a scion and stock of independently rooted plants are grafted and the scion later severed from its original stock), is widely practiced in tropical Asia but is tedious and relatively expensive. In Florida, more efficient methods—veneer grafting and chip budding—have been developed and are used commercially. The mango is inextricably connected with the folklore and religious ceremonies of India. Buddha himself was presented with a mango grove that he might find repose in its grateful shade. The name mango, by which the fruit is known in English- and Spanish-speaking countries, is most likely derived from the Malayam manna, which the Portuguese adopted as manga when they came to Kerala in 1498 for the spice trade. Probably because of the difficulty in transporting seeds (they retain their viability a short time only), the tree was not introduced into the Western Hemisphere until about 1700, when it was planted in Brazil; it reached the West Indies about 1740. Polar bear, (Ursus maritimus), also called white bear, sea bear, or ice bear, great white northern bear(family Ursidae) found throughout the Arctic region. The polar bear travels long distances over vast desolate expanses, generally on drifting oceanic ice floes, searching for seals, its primary prey. Except for one subspecies of grizzly bear, the polar bear is the largest and most powerful carnivore on land. It has no natural predators and knows no fear of humans, making it an extremely dangerous animal. Polar bears are stocky, with a long neck, relatively small head, short, rounded ears, and a short tail. The male, which is much larger than the female, weighs 410 to 720 kg (900 to 1,600 pounds). It grows to about 1.6 metres (5.3 feet) tall at the shoulder and 2.2–2.5 metres in length. The tail is 7–12 cm (3–5 inches) long. Sunlight can pass through the thick fur, its heat being absorbed by the bear’s black skin. Under the skin is a layer of insulating fat. The broad feet have hairy soles to protect and insulate as well as to facilitate movement across ice, as does the uneven skin on the soles of the feet, which helps to prevent slipping. Strong, sharp claws are also important for gaining traction, for digging through ice, and for killing prey. Polar bears are solitary and overwhelmingly carnivorous, feeding especially on the ringed seal but also on the bearded seal and other pinnipeds. The bear stalks seals resting on the ice, ambushes them near breathing holes, and digs young seals from snow shelters where they are born. Polar bears prefer ice that is subject to periodic fracturing by wind and sea currents, because these fractures offer seals access to both air and water. As their prey is aquatic, polar bears are excellent swimmers, and they are even known to kill beluga whales. In swimming the polar bear uses only its front limbs, an aquatic adaptation found in no other four-legged mammal. Polar bears are opportunistic as well as predatory; they will consume dead fish and carcasses of stranded whales and eat garbage near human settlements. Including the delay, gestation may last 195–265 days, and one to four cubs, usually two, are born during the winter in a den of ice or snow. Cubs weigh less than 1 kg at birth and are not weaned until after they are two years old. Young polar bears may die of starvation or may be killed by adult males, and for this reason female polar bears are extremely defensive of their young when adult males are present. Young remain with their mothers until they reach maturity. Females first reproduce at four to eight years of age and breed every two to four years thereafter. Males mature at about the same age as females but do not breed until a few years later. 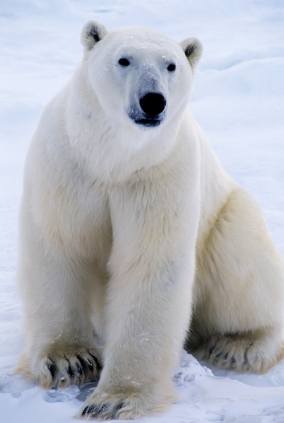 Adult polar bears have no natural predators, though walruses and wolves can kill them. Longevity in the wild is 25 to 30 years, but in captivity several polar bears have lived to more than 35 years old. Humans probably cause most polar bear deaths by hunting and by destruction of problem animals near settlements. Polar bears have been known to kill people. The bears are hunted especially by Inuit people for their hides, tendons, fat, and flesh. Although polar bear meat is consumed by aboriginals, the liver is inedible and often poisonous because of its high vitamin A content. At the turn of the 21st century, an estimated 20,000 to 25,000 polar bears existed in the wild. Because of continued global warming, a substantial reduction in the coverage of Arctic summer sea ice—prime habitat for polar bears—is expected by the middle of the 21st century. Models developed by some scientists predict an increase in polar bear starvation as a result of longer ice-free seasons and a decline in mating success, since sea-ice fragmentation could reduce encounter rates between males and females. Model forecasts by the U.S. Geological Survey suggest that habitat loss may cause polar bear populations to decline by two-thirds by the year 2050. In May 2008 the U.S. government listed the polar bear as a threatened species. The Jinping-I Dam also known as the Jinping-I Hydropower Station or Jinping 1st Cascade, is a tall arch dam on the Jinping Bend of the Yalong River (Yalong Jiang) in Liangshan, Sichuan, China. Construction on the project began in 2005 and was completed in 2014. Its power station has a 3,600 MW capacity to produce between 16 and 18 TW•h (billion kW•h) annually. Supplying the power station is a reservoir created by the 305-meter-tall arch dam, the tallest in the world. The project's objective is to supply energy for expanding industrialization and urbanization, improve flood protection, and prevent erosion. Harnessing hydropower on the Jinping bend of the Yalong River has been in planning for decades. The length of bend around the Jinping Mountains is 150 km but the downstream part of the river on the opposite side is only separated by 16 km. Between that distance, there is an elevation drop of 310 m, creating an excellent situation for hydroelectricity production. Two projects were planned for the bend, the Jinping I and Jinping II with a combined capacity of 8,400 MW. Planning for the projects began in the 1960s under the former Sichuan and Shanghai design institutes along with the Ministry of Water Resources and Electric Power. They produced the "Reinvestigation Report on The Yalong River bend (Jinping)". In July 1965, the Jinping Hydropower Engineering Headquarters was set up and designs for the Jinping 1 and Jinping 2 would progress with the East China Investigation and Design Institute. Construction began on 12 November 2005. The dam began to impound its reservoir on 8 October 2012. First power was generated in 2013 with the remainder of the work to be completed by 2015. The rapid impounding has been linked to reservoir-induced seismicityby a Chinese geologist. Out of hundreds of small earthquakes during impoundment, three between 3.9MW and 4.58MW were recorded on 22 November 2013 on a nearby fault line. The dam began to impound its reservoir on 8 October 2012 and the first two of six 600 MW generators became operational on 30 August 2013. The sixth and final generator was commissioned on 15 July 2014. The final generator for Jinping-II downstream was commissioned in November 2014. The Jinping-I Dam is on the border of the Yanyuan and Muli counties in the Liangshan Yi Autonomous Prefecture of the Sichuan province. The Yalong River, which the dam controls, is the largest tributary of the Jinsha. For the project, approximately 7,500 inhabitants were expected to be relocated. The 305m tall and 568m long arch dam supplies the power station with water from a 7.7 billion m^3 reservoir, of which 4.9 billion m^3 is active or usable storage. The dam itself has a structural volume of 7.4 million m3. To control flooding, the dam is equipped with a controlled spillway on its crest with four gates and the capability to discharge up to 2,993 m^3/s (105,700 cu ft/s). Five bottom outlets on the dam's orifice capable of discharging 5,465 m^3/s (193,000 cu ft/s) and a tunnel with a discharge capacity of 3,651 m^3/s (128,900 cu ft/s) with augment flood control as well. The power station will contain six 600 MW Francis turbines. Water discharged from the power station is then diverted downstream by the Jinping 2 Dam to the Jinping 2 Hydropower Station. Seismograph, instrument that makes a record of seismic waves caused by an earthquake, explosion, or other Earth-shaking phenomenon. Seismographs are equipped with electromagnetic sensors that translate ground motions into electrical changes, which are processed and recorded by the instruments’ analog or digital circuits. 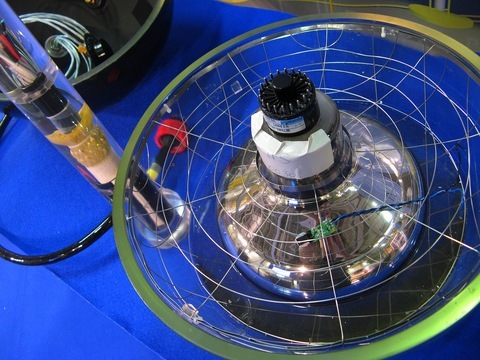 The terms seismograph and seismometer are often used interchangeably; however, whereas both devices may detect and measure seismic waves, only a seismograph possesses the capacity to record the phenomena. A record produced by a seismograph on a display screen or paper printout is called a seismogram. Although originally designed to locate natural earthquakes, seismographs have many other uses, such as petroleum exploration, investigation of Earth’s crust and lower layers, and monitoring of volcanic activity. An early seismic instrument called the seismoscope made no time record of ground oscillations but simply indicated that shaking had occurred. A Chinese scholar, Zhang Heng, invented such an instrument as early as 132 CE. It was cylindrical in shape with eight dragon heads arranged around its upper circumference, each with a ball in its mouth. Around the lower circumference were eight frogs, each directly under a dragon head. When an earthquake occurred, balls were released from a dragon’s mouth, probably by an internal pendulum that moved back and forth according to the direction of vibration, and were caught by a frog’s mouth, which produced noise. In 1855 Italian scientist Luigi Palmieri designed a seismograph that consisted of several U-shaped tubes filled with mercury and oriented toward the different points of the compass. When the ground shook, the motion of the mercury made an electrical contact that stopped a clock and simultaneously started a recording drum on which the motion of a float on the surface of mercury was registered. This device thus indicated time of occurrence and the relative intensity and duration of the ground motion. The basic problem in measuring ground motions is to attain a steady point that remains fixed when the ground moves. Various types of pendulums have been used for that purpose. The simplest type is a common pendulum in which a heavy mass is suspended by a wire or rod from a fixed point (as in a clock). Other forms are the inverted pendulum, in which a heavy mass is fixed to the upper end of a vertical rod pointed at its lower end, and the horizontal pendulum, in which a rod with a mass on its end is suspended at two points so as to swing in a nearly horizontal plane instead of a vertical plane. After a series of earthquakes struck near Perthshire, Scotland, in 1839, a seismometer with an inverted pendulum was installed near Comrie in 1840. The first true seismograph, according to Italian seismologists, was created in 1875 by Italian physicist Filippo Cecchi. The Cecchi seismograph also used pendulums, but it was the first to record the relative motion of the pendulums with respect to Earth’s ground motions as a function of time. The motions produced by seismic waves would activate a clock, and the recording surface (which tracked ground motion) advanced 1 cm (0.04 inch) per second, which would allow a reader to establish the timing of an earthquake’s onset as well as its duration. Seismograph developments occurred rapidly in 1880 when Scottish physicist Sir James Alfred Ewing, Scottish engineer Thomas Gray, and English geologist John Milne, who were working in Japan at the time, began to study earthquakes. Following a severe earthquake that occurred at Yokohama near Tokyo in that year, they organized the Seismological Society of Japan. Under its auspices various devices, forerunners of today’s seismograph, were invented. Among the instruments constructed in that period was Milne’s famous horizontal pendulum seismograph. Milne successfully used that seismograph to record several earthquakes in Japan. Then, after returning to England, he established a small worldwide seismographic network using such instruments. The horizontal pendulum seismograph was improved greatly after World War II. The Press-Ewing seismograph, developed in the United States for recording long-period waves, was widely used throughout the world. That device employed a Milne-type pendulum, but the pivot supporting the pendulum was replaced by an elastic wire to avoid friction. If a common pendulum is free to swing in one direction and if the ground moves rapidly in the direction of freedom of the pendulum while the pendulum is motionless, the pendulum will tend to remain in place through inertia. If the ground moves back and forth (oscillates) and if the period of ground motion (the time necessary for one complete oscillation) is sufficiently shorter than the period of free oscillation of the pendulum, the pendulum will lag, and the movement of the ground relative to the pendulum can be recorded. The magnitude of that movement is commonly amplified electrically. When the period of the pendulum is comparable to that of the ground motion, the seismograph will not exactly record Earth’s movement. The correction, however, can readily be computed mathematically. The ground can move in any of three directions, two horizontal and one vertical. Because each kind of movement must be separately recorded, three pendulums, one for each direction, are needed for a complete seismograph. In general, then, the seismograph is an instrument in which the relative motion of pendulum and ground is recorded. It is equally possible to take the ratio between the deflection of the pendulum and the velocity (or acceleration) of the ground. That ratio is called the velocity (or acceleration) sensitivity of the seismograph. If free oscillation of the pendulum is not minimized, it will mask the proper recording of seismic waves. 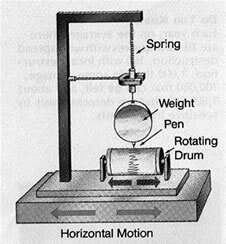 The simplest way to reduce (damp out) the free oscillation of a pendulum is to suspend it in a viscous (thick) liquid of which the resisting force is proportional to the velocity of the pendulum. In practice, the required resisting force is exerted by a special device called a damper. In an electromagnetic damper, the resisting force is created by electrical currents induced in a copper plate moving in a strong magnetic field. Various methods of recording pendulum motion have been developed. In the mechanical method (now of historical interest only), a sheet of smoked paper was wrapped around a rotating drum, so mounted as to move with Earth. A moving pen connected to the pendulum pressed lightly on the paper. The rotating drum shifted slightly with each revolution so that recorded lines were not superimposed on each other. The drum rotated without interruption; one sheet of paper usually lasted 24 hours. Though that method was simple and economical, the seismograph had to have a heavy mass to overcome the friction between pen and paper. In consequence, some mechanical seismographs weighed one ton or more. In the more-modern optical method, pendulum motion causes a mirror to move. Light is reflected by the mirror onto photosensitive paper wrapped on a drum. Thus, there is no friction to affect the pendulum. In the electromagnetic method, widely used today, a coil fixed to the mass of the pendulum moves in a magnetic field and creates an electric current. When the current is amplified electronically, high magnification is obtainable. Certain short-period seismographs of that type used for the observation of microearthquakes attain a magnification as high as 1,000,000 or more. In ordinary seismographic observation, the time of initiation of ground oscillations is recorded. Marks are placed on the seismogram once a minute; an extra one identifies the hour. All the seismographs described so far measure oscillatory motions of the ground at a given point. The strain seismograph, in contrast, employs no pendulum, and its operation depends on changes in the distance between two points on the ground. That type of seismograph was devised in 1935 by American seismologist Hugo Benioff. Strong-motion seismographs, called accelerographs, are designed particularly to register intense movements of the ground, mainly for engineering purposes—i.e., antiseismic construction in earthquake-prone areas such as Japan. Strong-motion seismographs employ accelerometers as sensors, record digitally directly on magnetic tape or memory chips, and can measure ground acceleration up to twice gravity. Networks of accelerographs are now operative in several earthquake regions (e.g., California, Japan, Taiwan, Mexico), offering continuous direct recording linked to computers and the Internet. Data on ground shaking are thus available within seconds of a local damaging earthquake. A seismograph records oscillation of the ground caused by seismic waves that travel from their point of origin through Earth or along its surface. The seismogram of a nearby small earthquake has a simple pattern, showing the arrival of P waves (longitudinal waves, which vibrate in the direction of propagation), S waves (transverse waves—that is, waves that vibrate at right angles to the direction of propagation), and surface waves (compression waves with no vertical or longitudinal components). In the case of distant earthquakes or of nearby very large earthquakes, the seismogram pattern is more complicated because it shows various sorts of seismic waves that originate from one or many points but then may be reflected or refracted within Earth’s crust before reaching the seismograph. The relation between the arrival time of the P and S waves and the epicentral distance—i.e., the distance from the point of origin—is expressed by a time-distance curve, in which the arrival time is read on the vertical axis and the epicentral distance on the horizontal axis. If the arrival times of various seismic waves are read on the seismogram at a station and compared with the standard time-distance curves, the epicentral distance from that station (the distance of the centre of the earthquake from the recording station) can be determined. If the epicentral distance from at least three stations is known, the origin of the earthquake can be calculated by simple trigonometric methods. The eruption of a volcano is commonly accompanied by many small earthquakes, especially when a volcano resumes activity after a long dormant period. Observation with sensitive seismographs therefore plays an important role in predicting volcanic activity. Often a strong earthquake is preceded by small earthquakes. Observation of very small tremors with sensitive seismographs is helpful in predicting disastrous earthquakes. Seismographs sometimes detect small and long-continuing oscillations of the ground, called microseisms, that do not originate as earthquakes. The occurrence of some microseisms is related to storms at sea. Seismographs are used for detecting remote underground tests of nuclear weapons, in which the relatively faint seismic waves generated by an underground explosion must be distinguished from natural tremors. If the seismic waves generated by an explosive charge are recorded by sensitive seismographs installed at various points in the neighbourhood of the explosion, the underground structure of the site can be determined by analyzing the time-distance curves of the P waves, using both direct waves and those reflected or refracted at the boundaries of underground layers. The depths of underground layers, their angle of inclination, and the speed of seismic waves in each layer can be also determined by using seismographs. Since the discovery of a large oil field in Texas by that method in 1923, seismic surveying has made rapid progress and is now used for oil and gas exploration. The improvement in the instruments and techniques achieved after World War II made it possible to determine the structure of Earth’s crust to a depth of 40–50 km (about 25–30 miles) by detonation of a small amount of explosive. Ground motions caused by injecting fracking water into underground disposal wells and dynamiteblasts in mines, quarries, and public works also can be measured by the seismograph. Preliminary examinations based on seismographic measurements make it possible to estimate the intensity of shocks and, thus, evaluate the amount of damage caused by a given amount of dynamite. Rock bursts, in which rocks are ejected suddenly in deep pits or tunnels, are caused by increase of stress in the surrounding rocks. Experience in mines shows that an increase of small shocks detectable by highly sensitive geophones—portable seismometers for field use—generally indicates a rock burst hazard. Detection of vibrations on the lunar surface by seismographs is of fundamental importance in determining the internal structure, physical state, and tectonic (crustal) activity of the Moon. Moon seismographs were installed during the Apollo program starting in 1969. They contained three long-period seismometers and a single-component, short-period, vertical seismometer. Many moonquakes were recorded by those instruments. Similar instruments were first placed on Mars by the Viking 2 lander in 1976 to determine the extent of seismic activity on that planet.